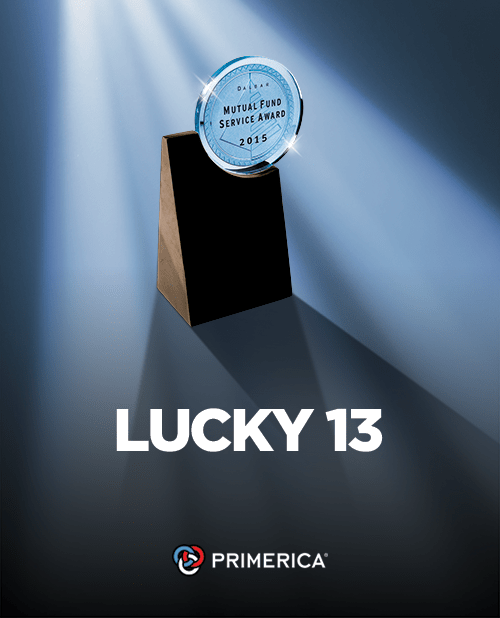 Recently, DALBAR awarded Primerica the 2015 DALBAR Mutual Fund Service Award for exemplary customer service to its mutual funds clients for the thirteenth year in a row. Primerica is committed to superior customer service, and we’re proud to be recognized by DALBAR! To read more about the award, check out the press release. This entry was posted on Monday, January 11th, 2016 at 4:18 pm	and is filed under Primerica. You can follow any responses to this entry through the RSS 2.0 feed. You can leave a response, or trackback from your own site.